How To Get Started Playing Online Poker - Casino Answers! Online poker has been widely popularized since it became a “sport” and has caught the attention of many as probably one of the most entertaining ways to make money doing something you enjoy. With its big move to the World Wide Web, there have been many successful winners and more people are trying to get their hands on some of those earnings; no poker face necessary. Getting started in this online phenomenon may be a little challenging, but with some guidance, you can be a poker pro, too. The first and best thing to do would be, obviously, to make sure that you are very much familiar with the game. A lot of the online users are players who have taken their real world talents and spread them across a wider media. To prevent losing possibly what could have been light bill money, it is good to familiarize yourself with this challenging game. There have been many books published on the play by play of poker, but the best way to learn would probably be to get into the game. There’s no better practice than getting some cards in your hand and winning some cold, hard cash. Another thing you can do is watch videos of others playing on such websites as Youtube.com, where there are real life people waiting to show off some of their very own tips and tricks. By watching someone else play, you get to see how other players interact with each other and where you will stand being a first time poker player. 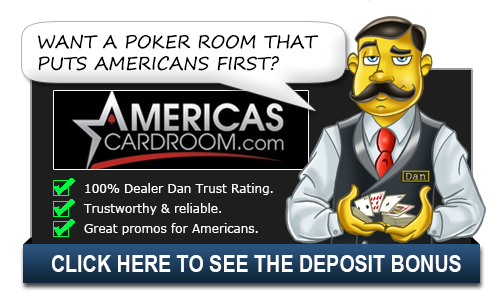 Third, you will need to research and choose a trusted poker website to start your journey. A good place to start would be right here at PokerQuestions.net. There you will find reviews from some of the great online poker playing websites. By the time you check some of these sites out, you should have a pretty good idea as to where you stand, what features you may enjoy more, and who do you think you can entrust most with your funds. After selecting a site or few you think you’d like to join, see if that site offers any sign-up bonuses. Some sites will offer bonus cash to those who are signing up for the first time or for those who may just want to change up their old poker page. Remember, the smaller the sight, the higher chance for a higher bonus. If you are uncomfortable with giving out your money right away, you can always do a “free play” where you are able to try out the online interface without using or winning any money. Once you familiarize yourself with the game a little bit, you can try to touch up on some poker lingo. There are some terms such as 3-Bet and Aces up, that you may not be familiar with, but these words are very important for you to know so that others players can’t get over on you. PokerQuestions.net offers many definitions to the words that may be giving you the most trouble. Armed with this knowledge, you can make it just as far as even the pros. There are many people in all ranges of experience, ready to take their game to the next level. Whether you’re a first timer or a pro ready to show the world what you’ve got, this information can help you to prosper in your gaming ability. While this information is helpful, PokerQuestions.net is the one-stop site for all your poker needs, questions, and worries. These experts can help you take your ability as far as you wish. Long live the poker site.